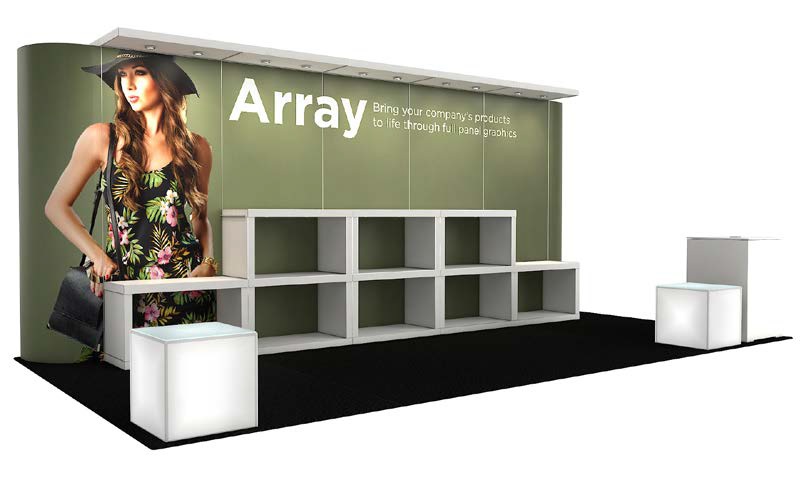 There are “pop-up” stores, pizzerias, cafes, and now there’s an affordable spin on pop-up for the expo floor: the Array. Well-lit graphics panels set the stage. Cubby units show off your products and encourage attendees to get up close and personal. Edge-lit LED cube tables offer additional shelf space to highlight your offerings. Who can resist?